If you’ve got an old BlackBerry charger you can use this as a charger for your new smartphone. 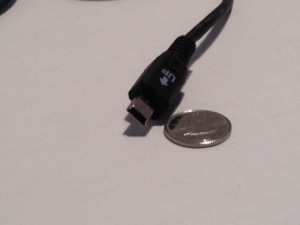 New smartphones are often charged with a standard micro USB charger. This includes newer BlackBerries which are charged via mirco USB. 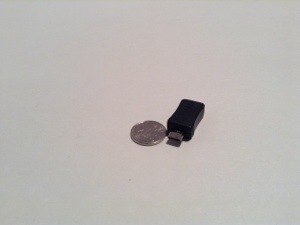 Older BlackBerries use mini USBs. Note that this doesn’t apply iPhones which have their own proprietary connector, but there are lots of cheap alternatives for them. 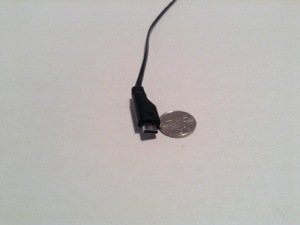 A mini USB plug can easily be converted to a micro USB plug via an adapter. These can be readily obtained from several retailers on eBay. I got mine from eBay seller “expert-island”. This conversion makes a great replacement changer or an extra changer to keep at work or in your travel bag.